What is the Best Compact Elliptical Trainer? The current vogue hints that consumer products are becoming more compact than ever before.This is something that fitness equipment manufacturers have started to imitate. This becomes evident when you look at the latest compact elliptical trainers to hit the market. Take Laptops and Tablets for example, two decades ago, computers were huge in size, today however they can fit into your bag to be carried anywhere and anytime. If you are looking for an intense machine for workouts at home, but still need the benefits of an Elliptical Trainer that reduce any negative impact on your body or joints, you should consider a compact elliptical trainer. Whilst they are small in comparison, they function in exactly the same way as a standard elliptical trainer, just without many of the bells and whistles. These small exercise units ares ideal to simulate walking, skiing, stepping and running. They are characterized by their moving handlebars and extra-large pedals, which help in rendering a full body resistance while pedaling at the right speed. 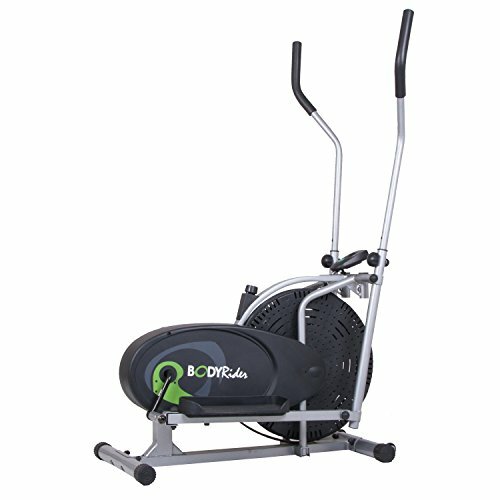 A compact elliptical trainer actually provides many unique benefits due to its downsized features. As the name suggests, the top most sought after benefit is that of being lightweight so that it can prove to be a truly portable unit. Therefore, a compact trainer is the handiest choice for consumers whose home gyms are fast running out of space. When compared with other trainers, there are three salient features of compact ellipticals, which are listed below. Portable Size: Several of us neither have time to go to gym or enough space to accommodate workout equipment in the house. This is where size matters, and therefore, compact versions gain priority over the bulky ones. Weight and size actually have to be the primary benchmark for choosing the bets trainer after comparison. As a rule, the lighter the elliptical equipment, the more compact it is! Similarly, the elliptical’s size tells you how compact it stands with its side flywheel design and transport wheels. Mobility: This feature allows you to continue with your workout routine even if you away on vacation, travelling or just visiting anywhere other than your own home. This feature is especially appealing for those who do not want to miss their workout, for whatever reason, professional or personal. As we all know a broken routine is often hard to get back in to. Unique Performance Mechanism: An elliptical machine (also known as a cross trainer) is recommended for those who have weight loss as thier main goal. Whats more however, is that these little cardio machines improve fitness dramtically with their multi-body part motion. Both leg and arm movement is necessary, which stimulates the typical running motion of the body, making itself ideal for those seeking an advanced fitness level. A compact elliptical ensures faster results by burning calories speedily and more effectively than a standard treadmill. Although a few compact elliptical trainers do lack many of the features of an ordinary elliptical trainer, they do boast the ability to deliver the same results with much less bulk. This is probably one of the first questions on your lips as you research the best compact elliptical trainers. As the size is far smaller than regular trainers, it is easy to predict the price by only considering size as the deciding factor. On comparing both versions, (small and large) you will find a huge price difference between the two. 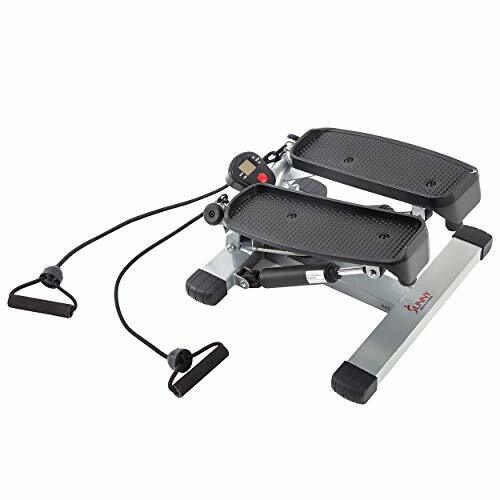 Regular large elliptical trainers range in the $200 to $3,000 bracket as per their extra features, however the price range for compact trainers is much much lower, typically retilaing for $70 to $200. Here is a quick run down of the top 3 compact ellipticals. They all have their own plus points and each is slightly different the the others. There is something for everyone really! 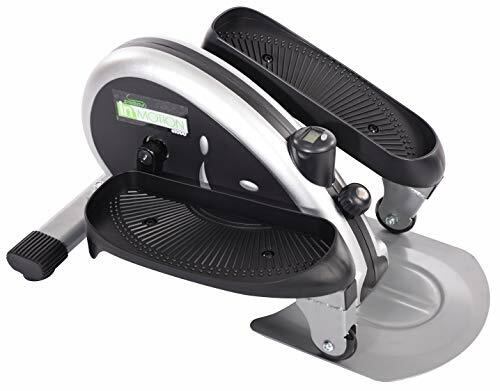 Is one of the most compact ellipticals featuring a metal base with pedals and a digital tracker showing time and calories. Whilst not as compact, the Body Rider Fan Elliptical is much smaller than a full blown elliptical trainer and is perfect for a home gym where space is at a premium. Features a patented elliptical motion, quiet fan wheel, dual-action handlebars, and workout video as a guide. Discarding the age-old belief that small means inferior, the recent compact models have successfully gained great traction in both quality and performance. With a price variance in the hundreds of dollars, if space and portability is a concern then a compact elliptical trainer is for you.